Pay online with a debit or credit card by logging in to your MY CIMA account. We accept VISA, MasterCard or American Express, and PayPal. Send a cheque, money order, UK postal order or sterling bank draft, made payable to CIMA. 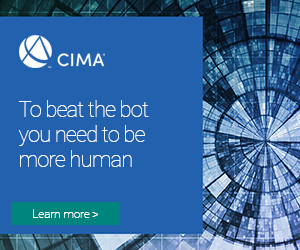 Write your contact ID on the back of your cheque and send it, together with a copy of your invoice and a remittance advice (PDF 50KB) to CIMA, The Helicon, One South Place, London, EC2M 2RB, United Kingdom. You can also set up a direct debit, through UK and Republic of Ireland banks only. To set up a direct debit, login to MY CIMA and click on 'My direct debit details'. Please note that CIMA does not allow monthly instalments via direct debit. Any amounts due are taken in full on the next available direct debit processing date. 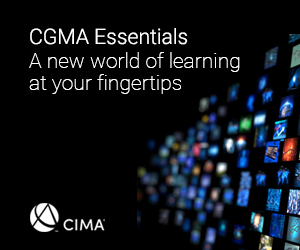 If you require a refund due to an overpayment or duplicate payment, please email your request (including the amount to be refunded) to cima.contact@cimaglobal.com. Please note; Refund requests must be received within 14 days of the initial date of payment.